Autumn is a beautiful time of year in New England, the landscape is ablaze with orange, red, and yellow, and the air is a crisp respite from the summer humidity. Along with autumn comes Thanksgiving. And with Thanksgiving comes family gathering, a hearty meal, and perhaps a little stress. If you have hosted Thanksgiving then you know there’s a lot to think about, before even considering how you’ll lay out the table. However, the tablescape, if done in advance, doesn’t need to add to your stress. In fact, it can be a creative form of expression and a chance to make the holiday that much more special. Here are some simple ways to adorn your Thanksgiving table and impress your guests. Before starting the process of designing a thanksgiving table setting, there a few questions to ask yourself. How many guests will you be hosting? Are you having a casual meal or a fancier affair? What’s your menu like? Is it rustic and casual or extravagant? What mood are you going for? Will you be serving the food buffet style or will the table have the food on it? Carolyn Ricciardi, from our Pembroke showroom, explains “If you’re having a casual meal with a few close friends you might choose to make your tablescape rustic and fun.” On the opposite end, if you’re serving a more refined, elegant meal, there are simple ways to elevate the table. The first thing you should think of when it comes to putting together a tablescape is the color scheme. Because it’s Thanksgiving, you may immediately lean towards autumnal colors. A color palette using autumn colors like red, orange, brown, and yellow is a beautiful way to bring the outdoors in and celebrate the season. However, as opposed to using all of these colors at once which can overwhelm the table, you might choose to pick a few colors to focus on. A monochrome look is another beautiful option, for example, focusing on different shades of yellow and placing small vases of sunflowers down the table. 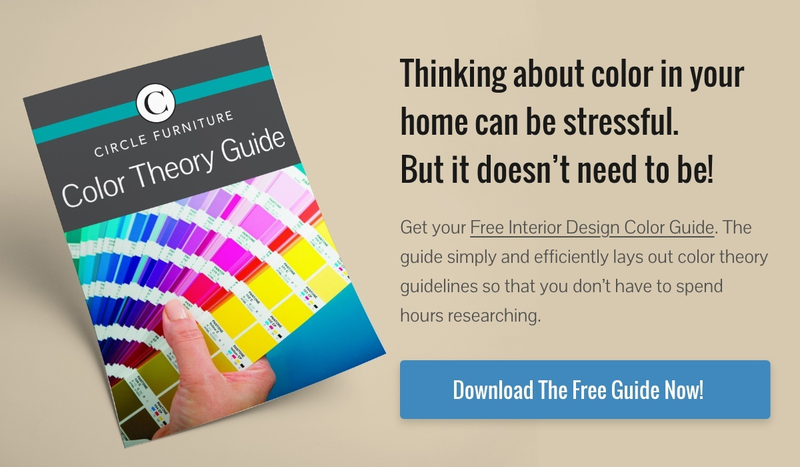 It’s also important to think about the room you’ll be hosting in and what the color scheme is. If it’s very neutral you can go any direction, but you should be aware of clashing colors. A wonderful way to tie the whole space together is to bring in an accent color on the table that’s featured in your room. Next, you’ll want to think about your dishes. The centerpiece is a key element of any tablescape. But that doesn’t mean it needs to be one object in the center of the table. Importantly, Carolyn explains, “You never want a centerpiece people can’t see over.” This will, of course, disrupt the flow of conversation. Carolyn advises using several flower vases and spreading the “centerpiece” across the table. For a beautiful and elegant look, stick to one type of flower in every vase. Orange tulips are a beautiful option for the fall. Mini pumpkins are a classically autumnal addition to a Thanksgiving table. For a fancier look, spray paint them gold. Vegetable and fruits such as gourds, pears, figs, and apricots. Leaves, dried flowers, and herbs. Branches, pinecones, and acorns for a rustic, outdoorsy feel. Candles, fairy lights, and ambient lighting. The best part about laying out a tablescape is that there aren’t any steadfast rules. Let your creativity shine, and spend time considering placement. Your personal preference and style will determine whether your tablescape is scattered, rustic, and natural or elegant, symmetrical, and polished. Start from the bottom up when laying out your tablescape. You may choose to keep the wood of your dining table bare without a tablecloth, or you may prefer to layer several. Next, lay out the placemats and chargers if you’re using them. A charger is an easy way to change the look of a tablescape. A woven wood charger will give a rustic look whereas a gold charger will instantly elevate the look of table. Consider the dishes and appropriate silverware for the courses you’ll be serving. Be sure not to lay out any utensils you don’t need. Once you’ve laid out the base of the table, you can begin to set up the centerpiece and the flowers. Leave a small gift for your guests! Something as simple as a votive candle or maple leaf candy can be a lovely way to welcome guests into your home and give them a memento of the night to take home. Carolyn’s pick? A chocolate turkey on the dinner plate. Don’t wait until the day to set your table! Setting your table a night or a few nights before will eliminate stress the day of and give you time to consider the design and add any elements that are missing. Add fresh flowers on the day of, unless they’re closed up and need a day or two to open. Finally, use your artistic and creative eye. Although the holidays can sometimes be stressful, creating a tablescape is a great way to express yourself and make your home a little more magical on the day. Laying out the tablescape a few days before will eliminate any stress and free you up to cook and spend time with family. Be creative! Although there are some guidelines to consider, how you choose to lay out your table is really up to you. Check out our Table Setting Pinterest Board for inspiration! Looking for more design inspiration and furniture tips? Visit our YouTube channel!